This thread doesn't belong here, unless we're supposed to talk about our feelings too. Donnie Darko. I know, but hear me out. I don't care if it's overrated or hipster. In my opinion, it deserves it all. When I first saw it in my teens, it opened up a whole world to me. Every single bit of the soundtrack still gives me chills. Sure it's an edgy teenage story of isolation and rebellion and the romance is rather shallow and unfulfilling, but that's exactly why I love it. It's a perfect portrait of that time in your life when everything feels so profound and mysterious. I can't put into words how much I love the music because most of my favorite bands were in there and as a teen with only access to mainstream media I suddenly felt understood lmao. The score is also nothing less than amazing and I've never found anything like it. The entire movie just ties together as this ridiculous, desperate, larger-than-life teenage experience and I love it for that. OML I never thought I could have so much in common with someone else here. I guess everyone else really is just afraid to give a "cliché" answer (including me). No, but I have the same taste. Please don't cry. As long as you're a fellow cheesy 80s fan I'll be happy. To stay on topic I'll post my other favorite movie, I think Silence of the Lambs still holds up because among other reasons, it's one of the best portrayals of a female heroine in crime fiction. Despite all the changes from the book, I think it's a great adaptation and I really appreciate the steps taken to put the viewer in Clarice's shoes because she's not just a character to entice the ~male gaze~ and her plot was actually quite feminist for the time, subject matter, male author etc. 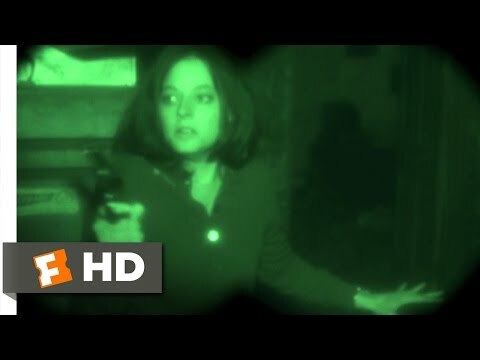 My dad used to show the scene where Buffalo Bill and Clarice are in the dark together when training soldiers, because he said it was the most accurate film depiction of what it's like to be filled with adrenaline in the face of possible death. That's really cool, and it makes sense because the writer used to be a police reporter.